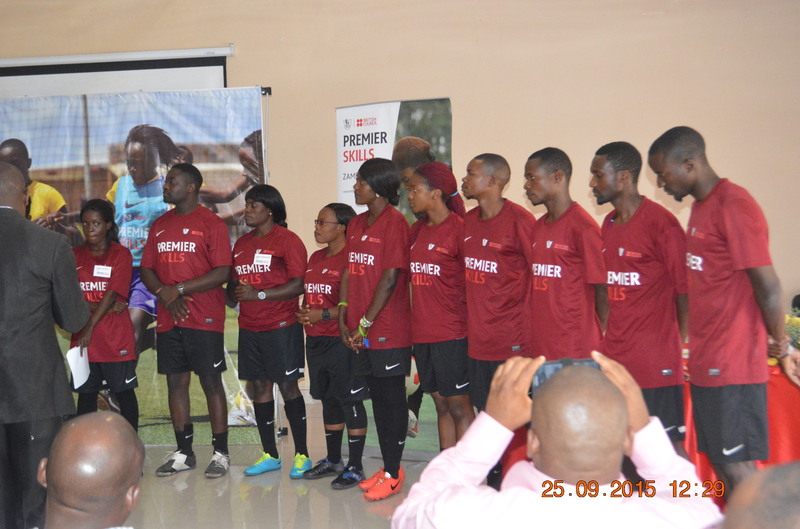 Following the graduation of Premier Skills Coach Educators in September 2015, NOWSPAR with the support from British Council in Zambia is providing training to the Community Coaches in our implementing partner organisations. The training at the NOWSPAR Club in Kitwe was held from 21st to 23rd January 2016 at Good Samaritan Community School. Of the 24 participants 10 were female, 9 were male youth and 5 were male teachers. 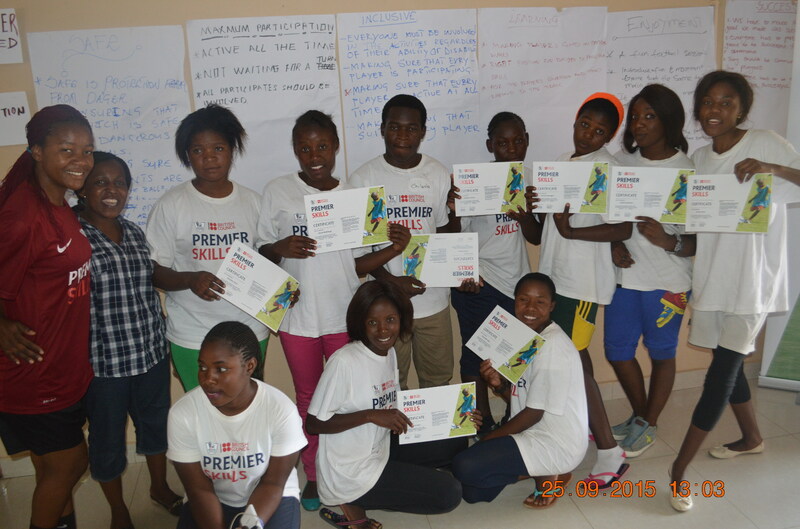 The trainning was facilitated by two premier skills coach trainers Elizabeth Banda from Grassroots Soccer and Jason Miti from OYDC. In Kafue, with our partner Kafue Queens Club, 15 coaches were trained at the training that took place on the 4th to the 6th of February 2016 in Shikoswe and was facilitated by Trainer Jason Miti from OYDC supported by Maketo Ng’ombe from NOWSPAR. Premier Skills focuses on community football coach and referee development aimed at supporting grassroots level activities. The coaches we train work in community clubs, schools, churches, and NGOs running sport activities and life skills sessions for children and youth. This is part of NOWSPAR’s strategy to facilitate opportunity to fun, safe and good quality sport at community level for every body. The next coaches’ training will be held in Choma with coaches working at our two new partners; Choma Children’s Development Programme (CCDP) and Mabana Organisation.